By SW Editor on 31st January 2018 Comments Off on Housing market builds profits, not homes! THE HOMELESS SPEAK OUT! Nor should it be normal for the responsibility of housing provision to be left to the market when we know the market cannot provide this most basic of human needs and this most fundamental right. But this is what is happening. Instead of managing a housing system the government is trying to manage a housing market. Markets are designed to build profits, not homes. Last year only 1,058 public homes came on stream while more than 120,000 households languish on housing lists. The government pays out billions to private landlords. The disastrous consequences are devastating for those caught up in this madness. Patricia is a council tenant. Her living conditions are deplorable. Water leaks cause electrical faults and the walls are covered in mould: ‘I think it’s horrendous in this day and age that they have people living in these conditions and paying rent. They were fighting for rights in 1916 and people still have to fight in 2018’. Zahara lives in a bedsit with her 17 and 12 year old daughters and 6 year old son. It measures 2 by 3 meters with a small cubby hole for a kitchen and a shower room. She sleeps on the floor and her children share the single bed. Her eldest daughter is preparing for the leaving cert this year.‘I know my children deserve better but I can’t find or afford anything else and my Landlord says he wants more rent. My social worker keeps telling me my children need a home but what can I do. I feel like a terrible parent’. Nor, married with two boys aged 6 and 8, has been renting a two bedroom flat for the past four years. 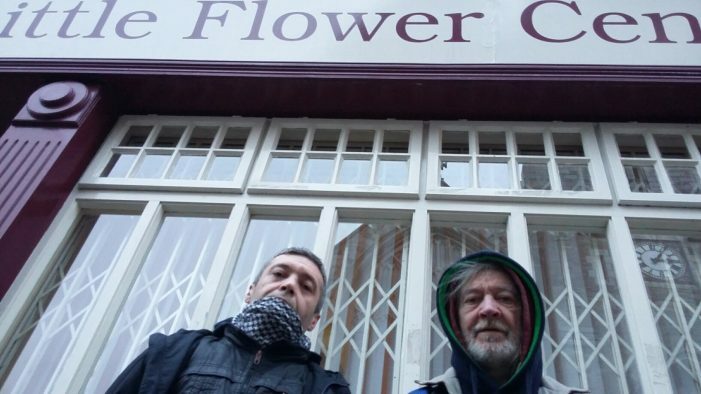 They have been given notice of eviction as the Landlord wants to renovate the flat. In the last four years the rent has increased once and is due for revision again. The original increase was from 1400 to 1650 but they negotiated it to 1550, still an increase of 150 per month! The flat is in a rent pressure zone, which means the landlord can only increase the rent by 4%. But of course, this increase won’t even bring him to the 1650 he was originally looking for. Rents for similar properties in the area are at 2000 a month – which the family can’t afford. A new tenant means the landlord can charge what he wants. ‘The landlord has agreed to wait until the end of the school year in June. We are looking but the only places we can afford are outside of Dublin. Our community, their school, my husband’s work, it is all in Dublin’.